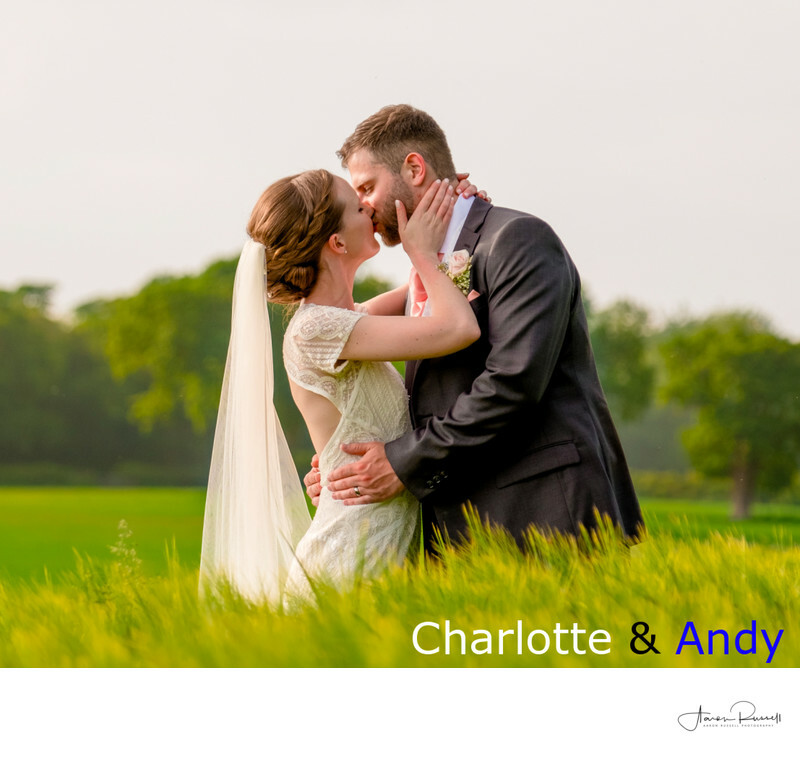 This image shows the front cover for Charlotte and Andrew's wedding album. The bride and groom chose to have an A4 wedding album with an acrylic front cover, this is where a photographically printed image is set behind a piece of 6mm think acrylic panel. This is my favourite front cover option when it comes to wedding albums as it's not only hard wearing, but it's like having a framed photo on the front cover of a book. You really have to see one of these albums to get a feel for it. If you'd like to arrange a meeting to discuss wedding album options, please get in touch by filling out the contact form by clicking on the 'contact me' button on the left side of the menu. Charlotte and Andrew's wedding venue was lovely, but for something truly special I took the bride and groom on a short walk up and away from the venue onto a piece of elevated land that overlooked the gorgeous Derbyshire countryside. The sun was setting, and the light is was giving off was warm and a lovely orange-golden colour. This really made everything a lot more vibrant, especially the tops of the grass seeds that I had the couple stand in. The light at this time of the day is also a lot easier to work with as it's less contrasty.